Rice Lake Glass uses products from the leading manufacturers of door and glass products. This helps us to keep stock in the most reliable and most dependable products to serve you faster. These brands also often provide custom solutions to your specialty projects. We will work with you to determine the best brands and products to serve your immediate and long term project goals. Want your project done on time? Talk with us and get started on the right path to project completion. Ceco Door is our industry’s leading manufacturer of steel doors, and frames for commercial, industrial, and institutional buildings. With 53 years of experience and some of the most stringent quality standards, you are getting a great product with Ceco Door. 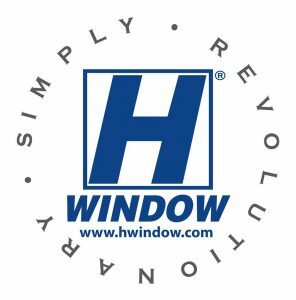 H Window makes the most efficient, highest quality and unique windows anywhere. 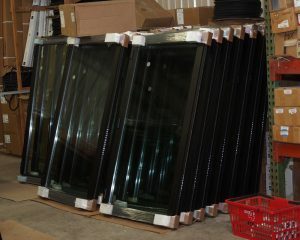 We are proud to stock and install windows from this Wisconsin company. When working correctly, garage doors are hardly given a second thought in our day to day lives. However, when one is not working or is damaged, it can cause a big disruption in your life. Raynor and Ideal Door garage doors are customizable, and crafted for dependable long-lasting performance for residential, commercial or agricultural settings. Professional installation of a Lift Master garage door opener ensures the style you choose has the features that fit your lifestyle. Our technicians will install the unit for you and can help performance any maintenance items that might arise down the road. Tubelite is a leader in eco efficient storefront, curtainwall, and entrance systems. Their continuous review of inventory levels ensure the right materials are readily available. Additionally, Tubelite’s focused scheduling of non-stock items ensure the delivery date of custom items are met and your project is on time. Wausau Window and Wall Systems has engineered systems for a variety of buildings, like schools, hospitals, offices, and condominiums. Rice Lake Glass will work with Wausau to bring your vision to life. Hardware for installing doors includes items by Hagar, Schlage, Reese, Sealeze, Von Duprin, LCN/IR, Norton, and Falcon. We offer many different types of glass products including new and replacement windows, tempered, tinted, fire rated, spandrel, pattern and other specialties. Do you provide services for automated entrances? Yes, options for automated entrances include IR/LCN swing door operators, for new installation or retro fit of existing doors, and Horton sliding and swinging automated entrances for new construction or remodeling.